It's been said before, so we'll say it again, but flying in Costa Rica has something for everyone. Beginners can take their first flights in Caldera or Jaco. 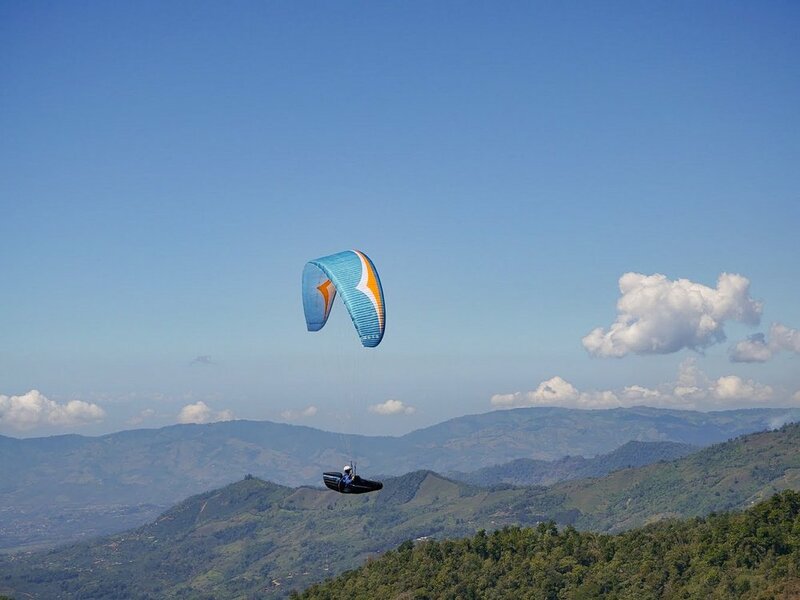 Intermediate pilots can practise thermalling in Dominical before moving onto Rivas, and experienced pilots can draw new and epic lines from Rivas to the valleys beyond. The summer months from December-March are flyable every day. The consistent weather and winds make it predictable flying. So if you want to get your hours in, you can do it here. Those pilots in the Northern Hemisphere can get their fix of flying in the tropical climates when it's snowing at home, and who doesn't want some winter sun? Costa Rica has some unique and special birds. Here you can fly with King Vultures, Toucans, Macaws, Hawks and many more tropical birds. Whether you're hiking or driving to the launch, the journey through the jungle always has a sense of adventure and leaves you wanting more. The beach landings have bars, and the bars have beer, making the end of the flying day even more rewarding. Here we say 'there are only good or great flights'! When you're flying over tropical paradise there's no such thing as a bad flight, or ever in our opinion. Ok, so we would say that because we are locals but everyone here is more than happy to help out visiting pilots. Whether it's giving a ride or a site intro, there is always help to those that need or ask for it. Maybe you've landed out, or in a tree, or just need some directions but the locals here will always help. They'll come to your rescue and literally chop a tree down to get your glider out, offer you a ride, a beer, some directions or just a smile as you go past. If you find yourself with spare time when you're not up in the air there's plenty to do. Hiking the highest peak, repelling waterfalls or surfing are just a few. If you need some downtime, then lying on the beach isn't a bad way to unwind either. You can always read our recommendations of Things To Do in Dominical for inspiration. Want to fly but not a pilot?